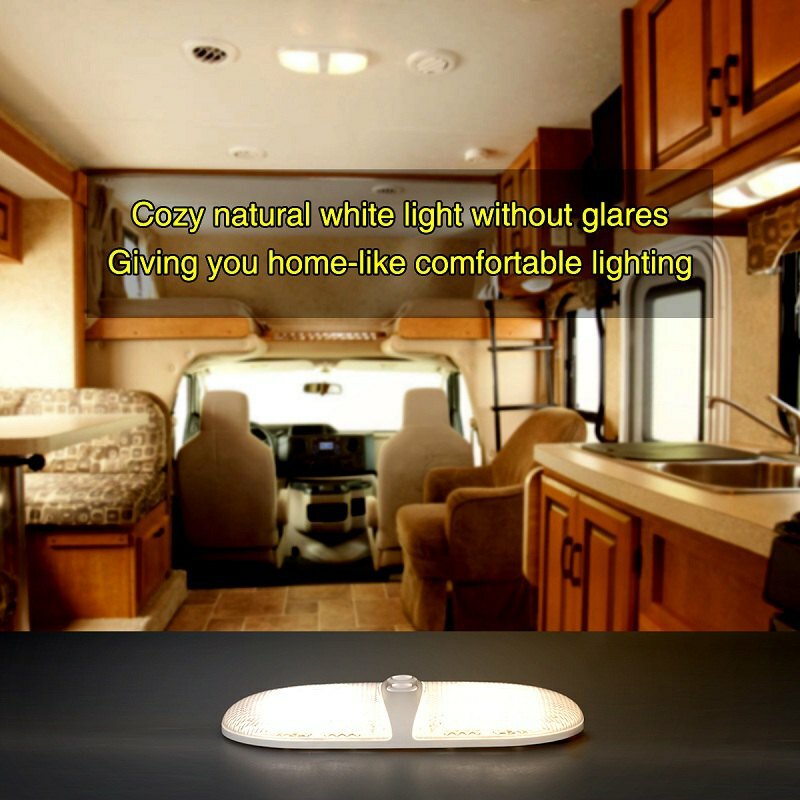 Wide Operating Voltage Range: Operating at DC11-18V, this LED light is designed to withstand the RV power fluctuations that can damage ordinary lights. 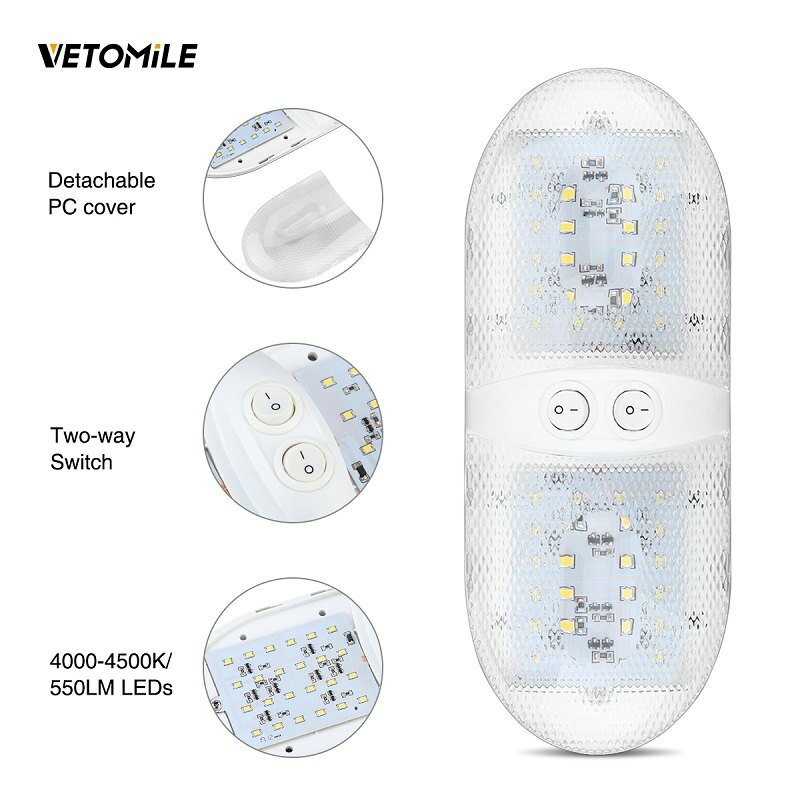 Extreme Long lifespan: It features high quality materials and good LED lighting technology, expecting a lifespan of more than 60000 hours, lasts longer than standard bulbs. Safe & Easy Installation: Each light has 2 wire nuts and 4 mounting screws, and coming with No Polarity Wires to reduce the risk of incorrectly wiring, put the screws into the existing hole and mount onto the wall, then it’s done. 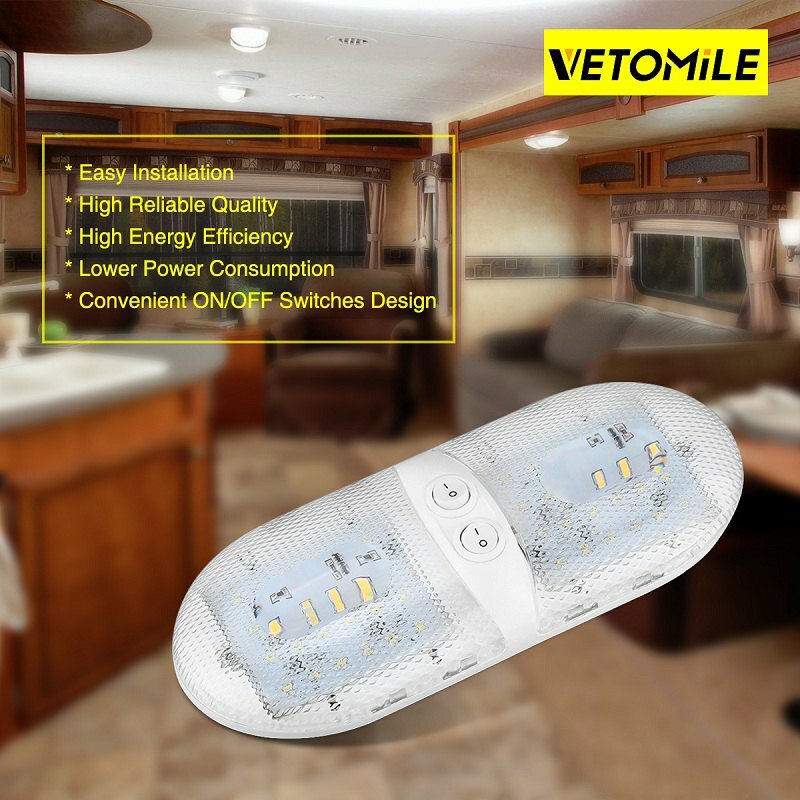 Convenient ON/OFF Switches Design: Coming with 2-way switch (All ON, One ON, All OFF) so that you can turn on/off the sides independently, totally energy efficient. 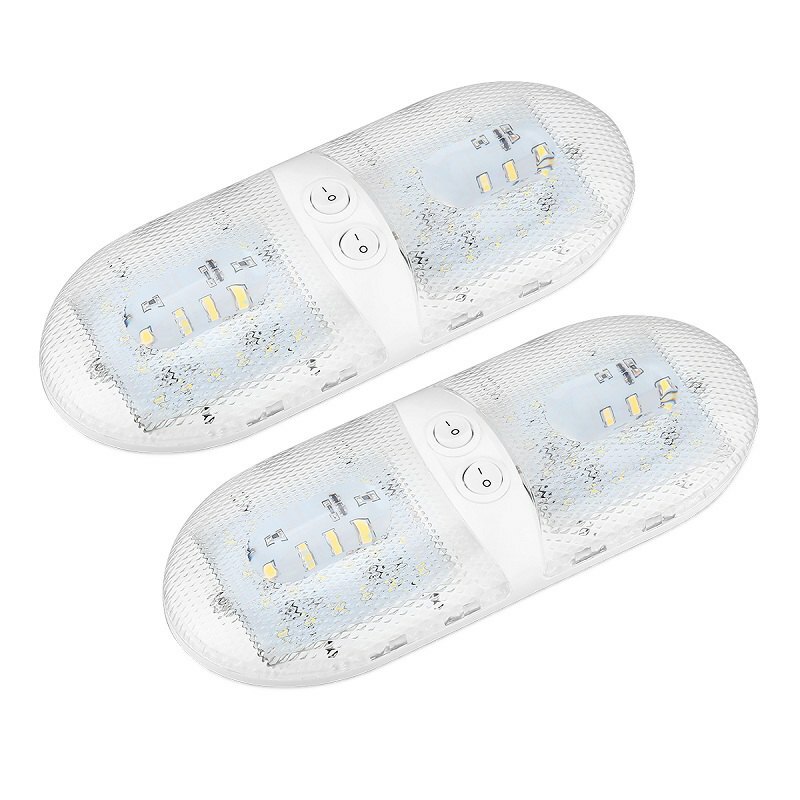 Lower Power Consumption & High Energy Efficiency: This light fixture adopts 48pcs high intensive leds, but only draws 6 Watts and provides total 550-600 lumens of brightness.